The exhibition is devoted to the three artists Joseph Beuys, Tadeusz Kantor and Richard Demarco. 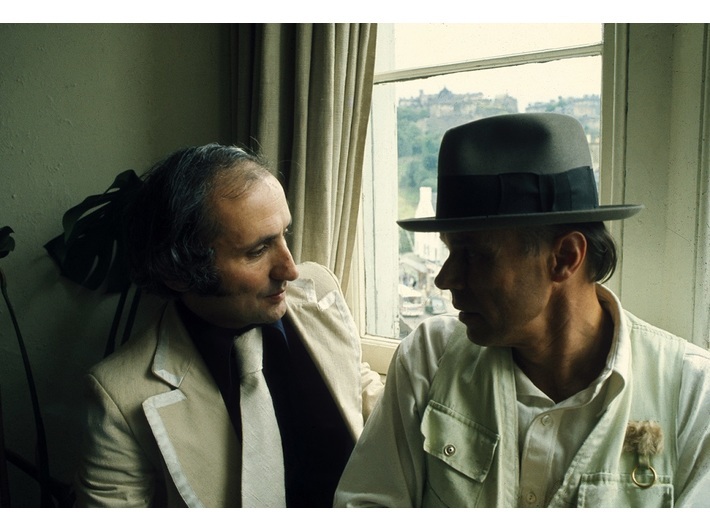 Beuys first arrived in Edinburgh in 1970 and Kantor – two years later. The two met in 1973 in Edinburgh Art Festival. Despite all the differences, the art of these artists, both affected by the trauma of World War II shares certain tendencies. It is these similarities that we set out to identify in our exhibition; of these, the most significant are each artist’s drive to accomplish an artistic synthesis and his exploration of memory, both individual and communal. 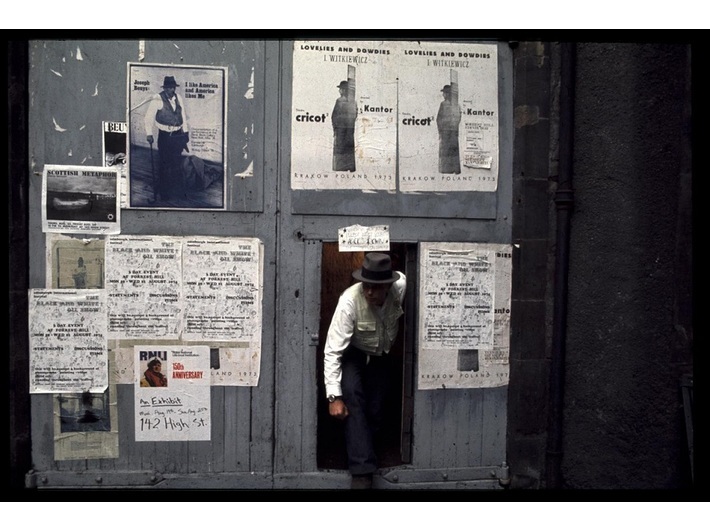 At the Beta Gallery, we are presenting photographs, films and other archival materials that document the artistic activities of Joseph Beuys and Tadeusz Kantor in the Scottish capital. Until 16 January in the space of the MOCAK Library Richard Demarco's drawings and watercolour paintings were exhibited, which gave the audience a chance to get to know the artistic personality of the demiurge of events. 2015 has been declared the Year of Tadeusz Kantor by UNESCO. On the occasion of the 100th anniversary of the birth of Tadeusz Kantor we would like to bring back his successes in Edinburgh, achieved to resounding acclaim which followed every performance of this artist from behind the Iron Curtain. Kantor personally designed and prepared the stage setting and props for his productions. What made them unique, however, was the fact that in spite of rigorous rehearsals, he continued to accompany the Cricot 2 actors on the stage, himself performing the role of a hands-on director, thus simultaneously becoming the most important actor on the stage. When Joseph Beyus saw The Water Hen in Edinburgh, he immediately became aware of the parallels in Kantor’s work to his own actions, which – to use the term introduced by Zbigniew Makarewicz – could be described as the ‘one-actor theatre’. 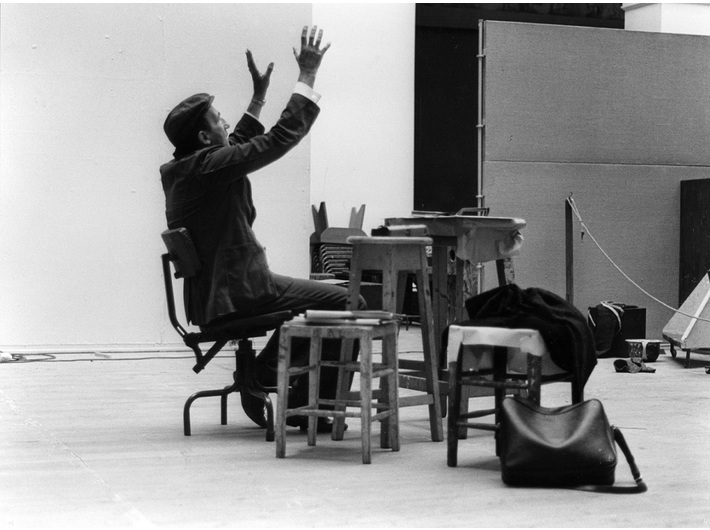 Both Kantor and Beuys came to Scotland at the invitation of Richard Demarco, promoter of the visual and performing arts, extensively involved in the Edinburg Festival since its inception. Demarco saw that art had the potential to heal the wounds of war and alleviate the international antagonisms which were the legacy of World War II. Over the years, Demarco has assembled an extensive archive, testimony to his fruitful collaboration with artists. His dynamic activities aimed to popularise art did not mean that Demarco had abandoned his own art; rather, alongside this Italian Scot’s passionate patriotism for Scotland, has proved continued inspiration. 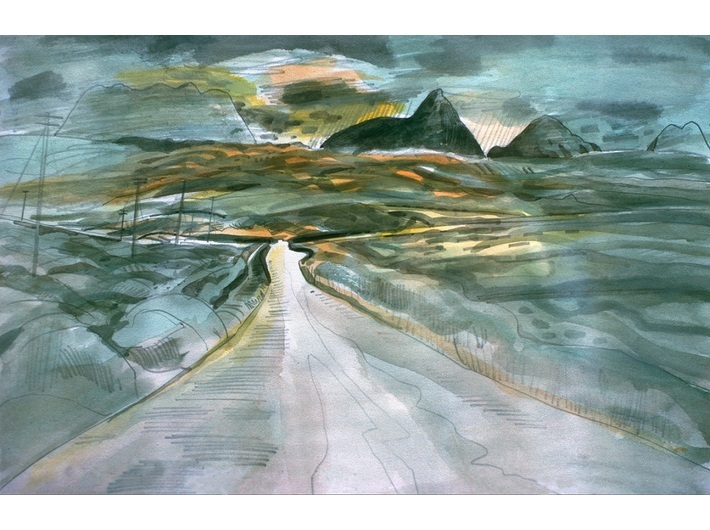 The majority of Demarco’s Scottish landscapes depict places that he visited together with friends and the participants of his experimental summer academies. It was Demarco who brought Beuys to the Scottish landscape and Celtic myths, that provided the German artist with a stimulus for over a dozen works. As for Kantor, although his sojourn in Scotland did not result directly in a particular work of art, nevertheless found fruitful the interaction with the enthusiastic Edinburgh audiences. As the location of these historic presentations, Scotland itself can be said to be the fourth protagonist of the present exhibition. The exhibition will be accompanied by a publication covering Joseph Beuys’s and Tadeusz Kantor’s numerous visits to Edinburgh. Besides archival photographs, it will contain detailed timelines of both artists’ artistic activities in Scotland, complemented by historic press coverage and reminiscences of those who witnessed these events, including Richard Demarco himself.